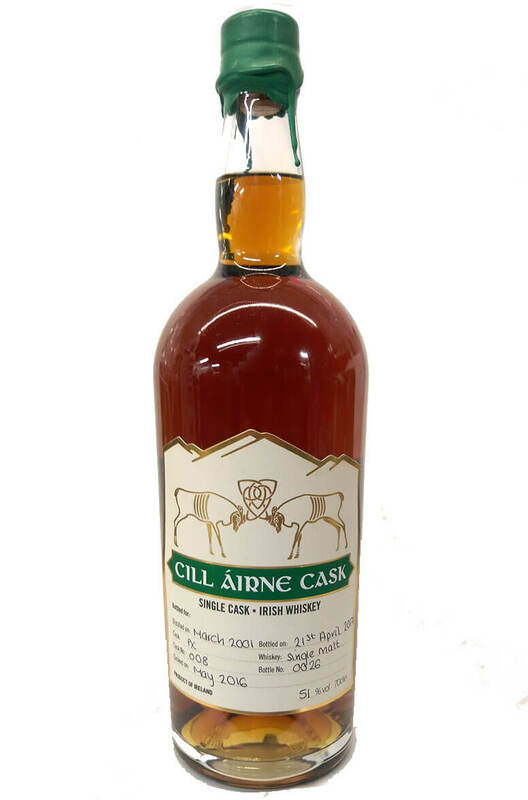 Single Cask Bottling Exclusive for Celtic Whiskey Bar & Larder, Killarney. We can now bottle, label & seal your own special bottle of fine Irish whiskey on your behalf, and ship it directly to your door. 70cl Bottle. We work diligently with various Irish whiskey distilleries to select the finest Irish whiskey for ageing. Dealing directly with the cellars of some of the world’s finest wineries, enables us to source our own high quality oak wine casks. Carefully marrying these whiskeys and casks results in some fabulous unique releases. The whiskey has been finished in specially made quarter cask barrels which, being smaller, have a larger surface contact in proportion to the whiskey. The result is more flavour influence on the spirit making these some of the richest and complex tasting whiskeys in Ireland.